My name is Anne and I’m a procrastinator. I’m also a writer and procrastination is in the job description. It’s the supreme avoidance tactic that many of us – writers or not – use when we really don’t want to tackle something. But writers seem to take the P word to professional levels. Procrastination feeds on a writer’s fear and insecurities and I’m susceptible. Yes, I mostly believe in my writing self. And, no, I can’t imagine my life without writing. I work hard at it, I take it seriously and do my very best. I know and accept my writing’s not perfect, but my fear is that it’s so imperfect nobody will want to read it. I can’t deny that procrastination does sometimes still stalk me. And, occasionally, it catches up with me, overtakes me and stands in my way. Then, because I’m now only answerable to myself, and not to a boss, I do sometimes give in to it, let it take me by the hand, and let it lead me down the path to where the non-urgent tasks lie. There are actually times when I find procrastination quite helpful. By giving into it, by going for a walk, or doing some gardening, or just tidying a cupboard, I often find that whatever is blocking my writing progress disappears. It’s as if by doing something else, by getting away from the screen or notebook, my mind is freed to go off on a ramble of its own. I then return to my desk ready, maybe even inspired, to write. I think procrastination is part of the writing process. I think it’s probably right that it’s part of the job description. It lets me step away from the manuscript, lets me take time out to mull things over, to allow fresh ideas to form and, yes, maybe to make my writing a little bit closer to perfection. Do you sometimes succumb to procrastination? What sort of tasks cause it and how do you get round it? Do you think it serves a positive purpose? Please do feel free to comment below. Writing: What’s in it for me? For me, for my life in general, writing has always been a problem-solving kind of activity. If I’ve anything on my mind I always find writing it down helps. It could be something as simple as a to-do list. I do like lists. I make lists about lists and my desk has been called ‘post-it’ city. If there’s something I need to think through or work out a plan of attack for, then a mind-map or a set of bullet points put down on paper is the way to go. If something is making me anxious, going round and round in my head and is threatening to prevent me from sleeping then simply jotting it down in my bedside notebook, to be attended to in the morning, is enough to allow me to drop off. But more specifically, writing creatively, whether it’s an article such as this for the blog, or writing a short story or novel helps me make sense of my world and the world. And it’s not necessarily something I set out to discover. I love that writing for me is full of surprises. For example, when I began writing my first novel Change of Life I had it in mind that I would be writing contemporary fiction, probably with a target readership of middle-aged women. My main characters came to me first. It was to be a story of a long-time married couple who find not only their marriage, but their wider lives too, under threat from some unforeseen changes. It was going to be a straightforward romance novel albeit where the protagonists were no longer in the chick-lit age range. But working on the story allowed me to work through and gain an understanding of long-term marriage versus short term romance. It led me to examine the ups and downs and pros and cons of inter-generational family relationships. It let me examine friendship and how life-enhancing a true friendship can be. And it let me look at what being diagnosed with a serious illness means in terms of facing up to the rigours of treatment and to accepting one’s own mortality. Most of all, as I lived with my characters and saw their story unfold, I began to see that change, even when it looks daunting, threatening or even impossible can turn out to be a good and life-affirming thing. I’d stumbled on some big themes. When I set out to write The Silver Locket, my novel for children, I was aiming to write a modern Enid Blytonesque adventure story with a bit of time travel thrown in. But teasing out the story meant having to truly empathise with my three main characters: a child with Aspergers, another child whose mother had died, and a child whose parents were divorced. At the time of writing that novel, I was still working as a teacher of children with special educational and emotional support needs. So getting into the heads of my characters gave me a clearer view of how life might actually be for some real life children. Not only that it let me see that what we often view as a handicap can actually be the very opposite of that, and that children left to their own devices can be remarkably resourceful and resilient. When I began Displacement, my second novel of contemporary fiction for adults, I set off in a similar vein as I had with Change of Life. My main characters had arrived unbidden – one while I was hanging out the washing and the other while I was driving to work. The story would involve some romance, the main characters would be post-fifty, and there would be challenges aplenty – challenges that would lead to the characters’ complete displacement from their normal lives. I knew that the setting would have a big role to play this time, and I knew that the story would have two main locations: the Scottish island of Skye and the Middle Eastern country of Israel-Palestine. Even although I knew both locations reasonably well, having lived in one and having visited the other several times, I did expect to have to do some research, what I didn’t expect was just where my research and plot development would take me. I had to delve further into both twentieth century history and current Middle-Eastern politics than I’d intended. I had to confront the realities for a Jewish child escaping Nazi Germany. I had to investigate Britain’s involvement in Afghanistan and what it takes to be a Royal Marine commando. I had to confront parental grief after the loss of a son. I also came to see that displacement can happen on many levels, have many causes and that it can have both positive and negative effects. And again, I realised as I progressed with the writing, that this was more than a simple romance, more than two characters meeting and, after overcoming a series of obstacles, living happily ever after. Once more I was in the complex territory of real-life, later-life, relationships and real-life, meaning-of-life issues. Once again I was pleasantly surprised by just how rewarding and intellectually stimulating working on a multi-layered story can be. And now I’m writing the sequel to Displacement – working title is Settlement. The first thing I got out of it was the surprise of doing it at all. I hadn’t planned to write a sequel. The second thing was an important lesson: do NOT throw your original novel notes away, even when the novel is complete. Yes, I wrote them by hand in a notebook, no I didn’t store them electronically. Duh! So character biographies and house layouts had all to be done again. But the third and main thing I’m getting out of the writing this time is bigger than those practical discoveries, and bigger than the discoveries made while writing earlier work. Working on Settlement has me intrigued. It sees the main female character back working in the Middle East partly as a way of settling some personal issues. Meanwhile, the main male character is also dealing with some significant unfinished business from his past. And the plot is developing and operating on so many levels that I hadn’t foreseen. I did foresee the relationship difficulties between the two main characters. They see life differently. It was apparent in the previous book that one is a romantic and the other is a realist, one prizes loyalty and the other is fickle, one works at relationships, and the other walks away. And I did foresee a parallel between the consequences of upheaval and settlement in the personal lives of my characters and the wider consequences of displacement and settlement on a national and international level. But I didn’t foresee just how much the personal aspects would come to underpin the wider political aspects of the story. I came to realise that just the act of letting someone speak, and of listening to them as they do so, can have far-reaching and profound consequences. I don’t know if there are more surprises to come as I complete the final third of book, but that’s why I love writing so much. I never know where it’s going to take me or what I’m going to discover. Since my youth, and yes, I know that’s going back a bit, I’ve always preferred a bit of background noise when trying to concentrate. And when I say noise, I mean music. Music has always helped my brain get, and remain, focussed on any task requiring the use of what passes for my intellect. I don’t always hear every note or lyric. Indeed a whole album can play out and all I’ve consciously heard is the first few bars of the first track. But just having it playing away in the background has maintained my concentration. I know if there’d been complete silence while I worked, my mind would have wandered. 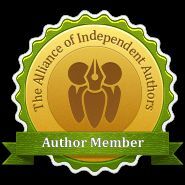 I contributed a guest post on this topic on writer, Roz Morris’s, blog back in 2014 and this is a more in-depth look at the subject. When I was studying for exams, both as a high school pupil, and as a university student, my *portable record player would be belting out my latest *LP. By the time my final exams loomed, my *hi-fi-stereo-cassette player would be doing the job. It would play *compilation tapes consisting of favourite tracks from several LPs (or from Radio 1’s Sunday night Top Twenty in the *Hit Parade show) as I tried to commit to memory the names, facts and figures I’d be required to regurgitate in the exams. Thank you Beatles, Stones, Bowie, Pink Floyd, 10cc, Carole King, Janis Ian, Simon & Garfunkel – to name only a few. And then, around twenty years after that, whilst studying for my Masters, it was my *CD-Walkman that provided the background music. Yes, it was mainly The Verve and The Lighthouse Family who got me through the writing of my thesis on Early Literacy and How Children Learn to Read. *if the asterisked terms mean nothing to you, ask your parents or grandparents for an explanation. They refer to music related artefacts from the electronic Stone Age of the twentieth century, many years B.I. (Before Internet). And nowadays, music still has an important role in getting me started and keeping me on task when at my writing desk. Now of course it’s played from the music folder on my PC. And I have playlists dedicated to my writing. Unlike in the past when music aided my learning and studying, it now gets me in the writing zone and keeps me there––and it also inspires me. For each of the three novels I’ve written to date and for the one I’m currently working on there’s a specific set of tunes. So no matter how heavily procrastination, self-doubt, or lack of inspiration are weighing on me, just those first few notes of the first track of the relevant playlist gets me started. It transports me instantly into the atmosphere of the story or the head of a particular character. And although, just as it was when I was studying, I don’t consciously hear every note or track the music in the background keeps me in the writing zone. Indeed, at times when my concentration lapses and attention strays, it is focussing on the music that gets me back to composing those sentences. And even more than that it can be a part of a lyric or a musical theme that actually provides inspiration. For example it might clarify for me what motivates a particular character, or how they might be feeling. It might also help me set the tone or describe the mood or setting for a particular scene. The background music isn’t acting like a tone poem or movie soundtrack in reverse; that is where the music is written in direct response to a story or a movie in order to enhance it or reinforce its depiction. It’s not that I hear a character and their story in a song and then write a longer novel version about that character. And neither am I transcribing and interpreting an entire instrumental piece into a chapter or novel. (The copyright issues alone would put me off, quite apart from it being quite beyond me and it not being what I’m using the music for). No, it’s more subtle than that – or maybe subtle isn’t the right word. It’s probably, at least partly, something as simple as a Pavlovian response. It’s about how the music makes me feel, it’s about the psychological effect, a sort of conditioning almost. So when I hear that song, I really can’t help but be transported right into the heart of the work-in-progress. And then maybe we’re into more subtle psychological territory with the background melodies, harmonies, cadences and rhythms keeping the brainwaves synced––or something–– and maintaining the concentration. Do you find music helps or hinders you when you’re working? Below I’ve included a few examples of the many tracks that have helped me to get my three novels written and to maintain progress on the new one. For my novel for children, it was a twelve track list and if you thought the others were eclectic, this set is a very weird mixture.